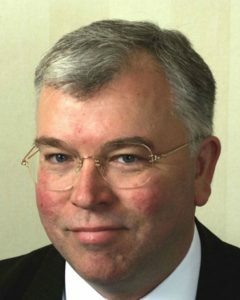 Dr Tom Clutton-Brock qualified in medicine from Bristol University (UK) in 1980. He went on to gain an FRCP, FRCA and FFICM. Tom has been a Senior Lecturer and then Reader in Anaesthesia and Intensive Care Medicine at the University of Birmingham since 1990. He has maintained a career long research interest in medical technology with particular interests in patient safety, monitoring systems and point-of-care testing. Tom was a (part time) Senior Medical Officer (Devices Clinical) at the Medicines and Healthcare products Regulatory Agency (MHRA) for many years. As well as having a clinical commitment at University Hospitals Birmingham, Tom is Associate Medical Director at UHB, Chair of NICE Interventional Procedures Advisory Committee and a past member of Council at the Royal College of Anaesthetists where he chaired the Safe Anaesthesia Liaison Group. Since 2013 Tom has been the Clinical Director of the NIHR Trauma Management Health Technology Cooperative and from October 2014 the Interim and then Deputy Director of the Institute of Translational Medicine in Birmingham. In 2016 he became Director of the ERDF Medical Devices Testing and Evaluation Centre and was named as one of the “100 most influential drivers of the health technology revolution, globally”.